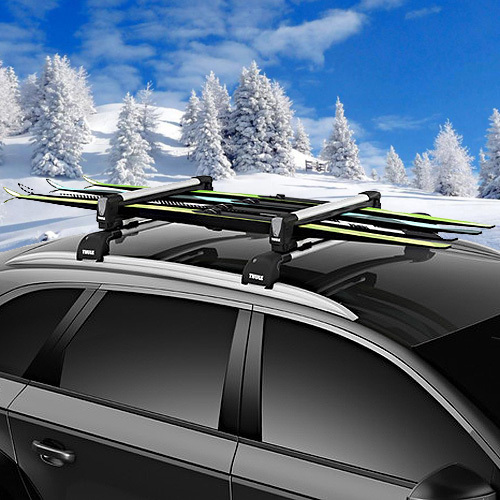 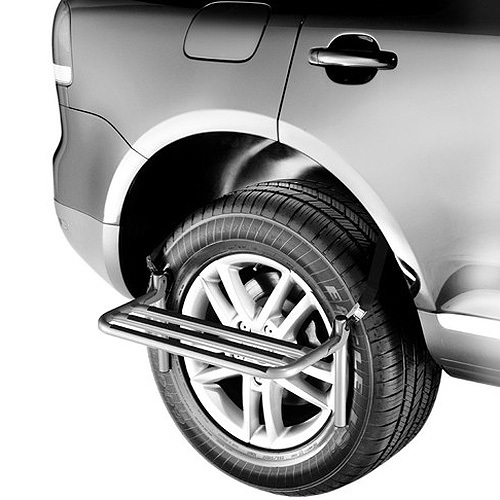 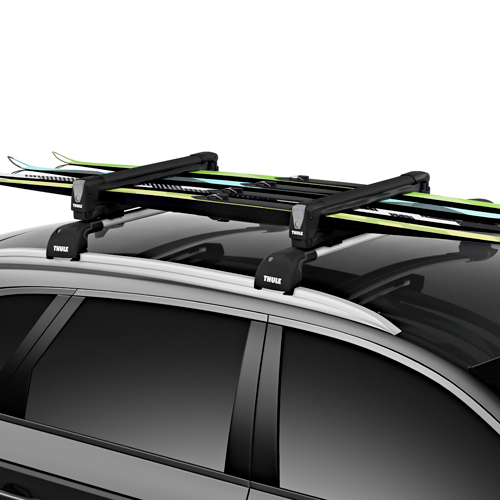 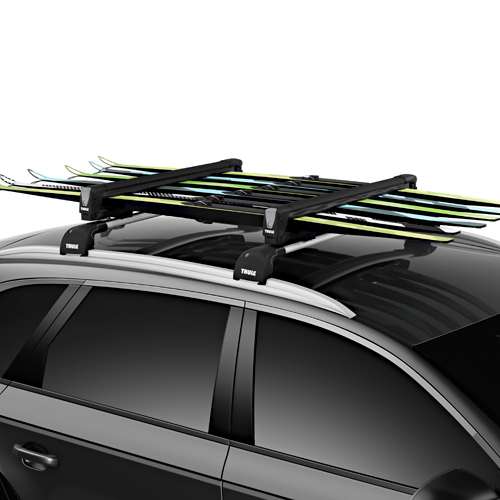 Thule ski racks, Thule snowboard racks, Thule ski and snowboard carriers, and Thule ski rack accessories attach directly to Thule crossbars and most other aftermarket and factory installed racks. 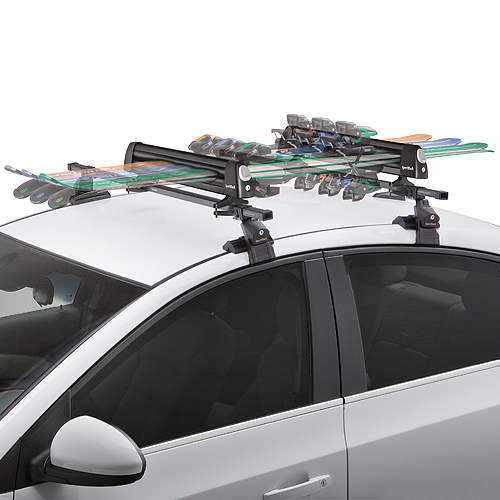 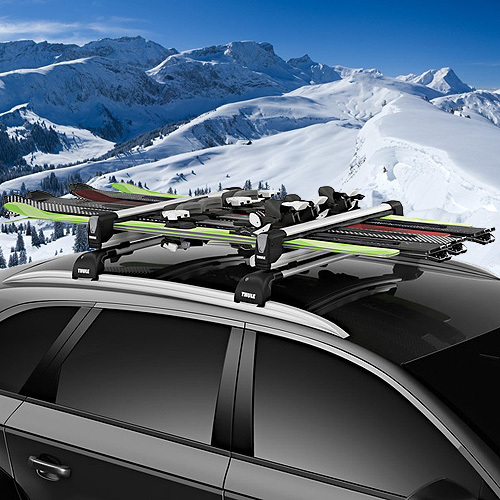 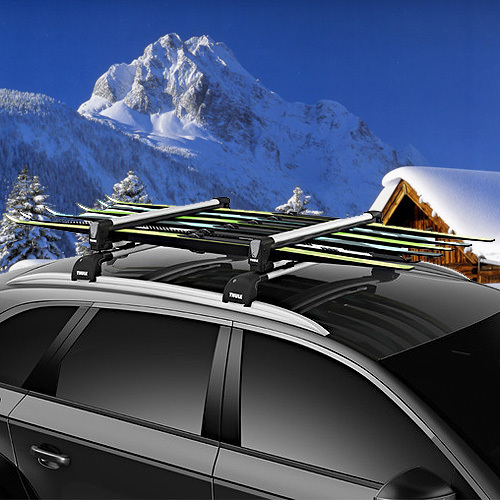 All Thule ski and snowboard racks are in stock at RackWarehouse.com - including: Thule 7324 SnowPack Universal 4 Pair Ski Racks 2 Snowboard Carriers, Thule 7326 SnowPack Universal 6 Pair Ski Racks 4 Snowboard Carriers, and Thule 9033 Tram Hitch Ski Snowboard Carrier. 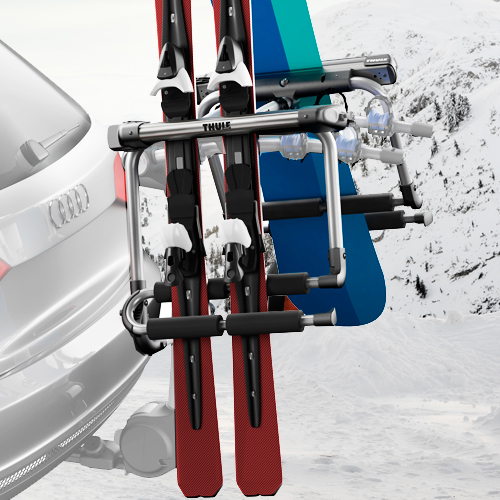 Thule ski and snowboard racks have oversize opening buttons (great when your gloves or mittens are on) and locks for securing your skis and snowboards.